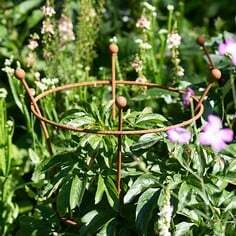 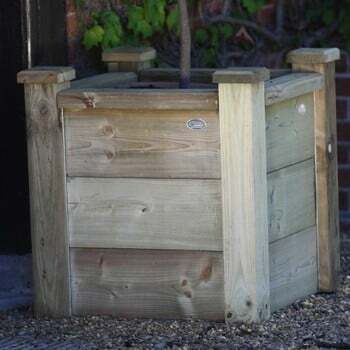 These Square Wooden Planters are perfect for creating colourful floral displays on the patio, making a focal point of specimen trees or even growing salads and herbs. Exclusively designed by us in the UK, these attractive wooden planters are made from high quality thick scandinavian wooden planks, sourced from sustainably managed forests and have strong 10cm square corner posts to give the planter extra strength. 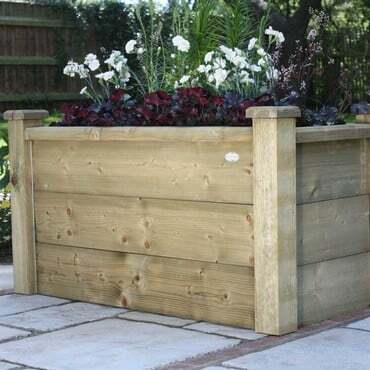 The planters measure 0.6m (2ft) x 0.6m (2ft) with a choice of 4 heights 0.2m, 0.4m, 0.6m or 0.8m. 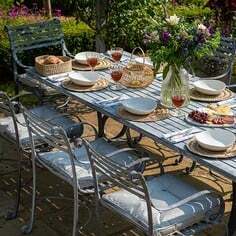 The planters are not supplied with a base but liners are available for the lower 0.2m and 0.4m high planters. 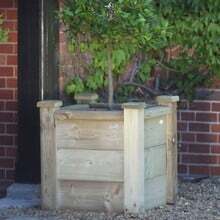 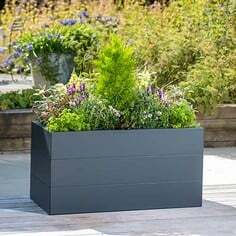 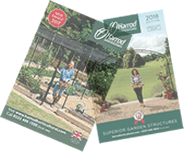 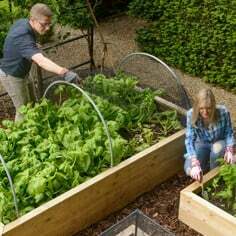 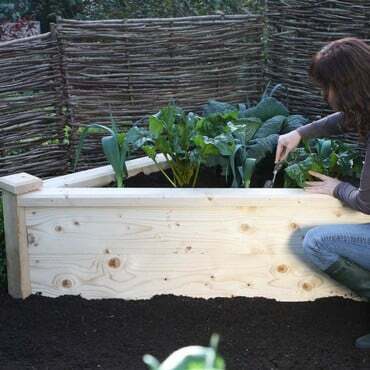 The wooden planters are easy to assemble and treated with a safe wood preserve for resistance to fungal decay and wood boring insects and all planters come with a 4 Year Structural Guarantee. 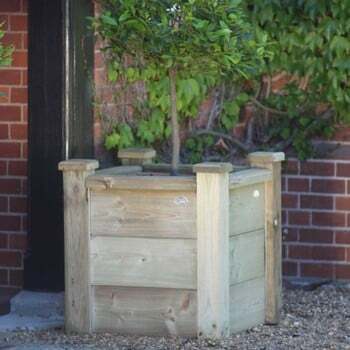 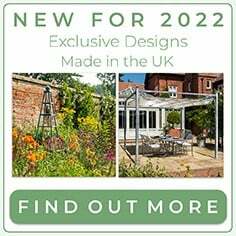 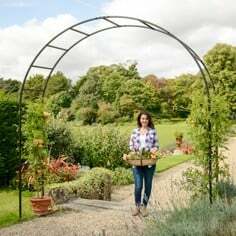 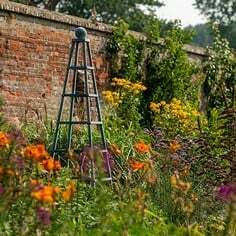 The planters look great when used in pairs either side of a doorway planted with Bay Trees or when used individually on the patio planted with colourful flowers.